When you’re setting up your marketing strategy, getting your brand out there is essential. Whether you’re climbing the ranks in a Google search or attracting new customers to your site, everything you do should push your brand to make it more popular and more visible. One way to encourage both new customers and better search rankings is getting links to your site from other sites. The type of link makes all the difference—but neither type is inherently bad. Though nofollow links have long been seen as less beneficial than dofollow links, that’s not a complete picture of the situation. 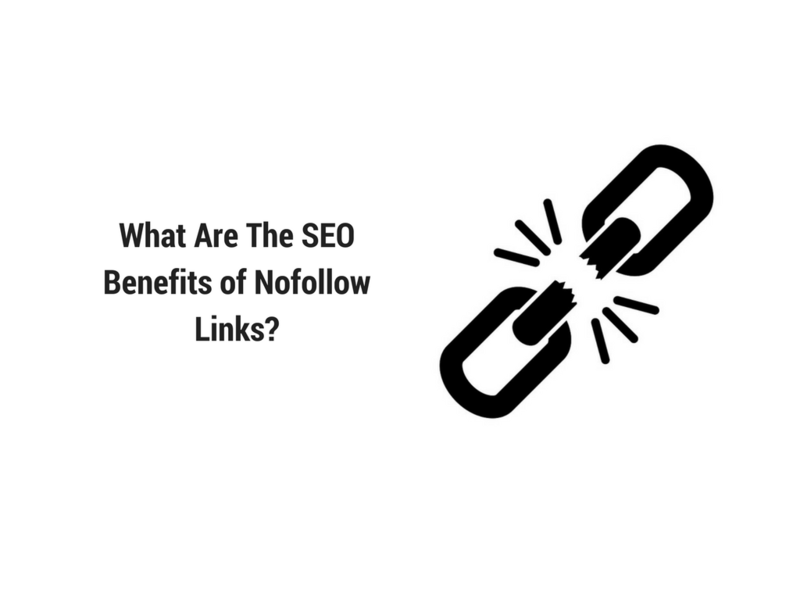 Nofollow links come with their own set of benefits and offer real utility to anyone who wants to increase their SEO and promote their brand. Nofollow links are links set up so that Gogle bots do not pass any page rank or ‘link juice’ link to the target site. According to Google, they don’t “transfer PageRank or anchor text across these links.” Nofollow links were long eschewed by SEO professionals because they were believed to not have a direct result on SEO, so the effort you spent getting a nofollow link was seen as wasted effort. That’s no longer the case. Nofollow links can be just as valuable as dofollow links for increasing your visibility. While Google says “in general we don’t follow” nofollow links, that doesn’t mean they never follow the links. It just means that in general, you shouldn’t expect the same SEO benefit type from nofollow links as dofollow links. The type of benefit is different. Technically there is no such thing as a ‘dofollow’ link, there are only normal links without the ‘rel=nofollow’ tag, however within the SEO industry people like to refer to these as ‘Dofollow’ or ‘Followed’ links. Dofollow links are the opposite of nofollow links. They signal to a search engine crawler that the link should be followed by that bot. It’s a signal that the link is trusted and organic. Dofollow links are also the default type of link, so if you put a link on your page, it’s already a dofollow link without any modification. Special tags have to be added to a standard link to make it a nofollow link. The more dofollow links you have, the more Google sees your site as authoritative. They’re a positive signal for your website that can help increase your rankings even if they don’t increase engagement—though having all your dofollow links remain unclicked isn’t as good as having dofollow links that people engage with. Why Are Nofollow Links Used? There are a number of reasons a site would use a nofollow link. The first is that the site is concerned with protecting its own page quality and site rank. Since Google’s crawlers can’t go through site pages that are password protected, using nofollow tags on those links will help make the crawlers index the pages the site actually wants on the search engine. Another reason a site would use a nofollow link is if they don’t trust the site on the other end of the link. It doesn’t mean a site is bad—just that the referring site isn’t personally willing to vouch for it. One example is a site that allows users comments, which aren’t vetted beforehand and could lead to spam or other inappropriate content. Paid links are another type of link that is often converted to nofollow. When you advertise a product on another site, it’s important to Google that your marketing budget doesn’t directly affect your rank—otherwise people could pay thousands to get links on enough pages to rise above sites with more relevant and useful content. For that reason, Google prefers that any paid links are nofollow, which is one of the issues you can run into, depending on your marketing strategy. So why use nofollow links if a Google crawler won’t use it to boost your page rank? The reason you should use nofollow links is because they can increase organic engagement—and lead to dofollow links from other sources. Each link is a chance to get noticed, which gives your link a chance to be shared organically, not as a paid link that you’ve built or one you’ve exchanged for visibility. If a person who’s interested in your product or service visits the link, finds it useful, and then links it on his own page, you’ve not only engaged an entirely new group of customers but also developed a second link on the back of the original nofollow. As these connections increase, your search results position should increase as well. What Are the Benefits of Nofollow Links? Nofollow links biggest benefit is that they act as an introduction to your site, brand, products or services on the page where they’re hosted. When you consider what you’re trying to achieve with your SEO & content marketing strategy, it’s clear that the introduction and attention are the most important aspects of the game. Nofollow links from paid advertisements or sources that found your site helpful and linked back to it cautiously still give you access to a new audience. Moreover, sometimes nofollow links generate more traffic than a dofollow link. 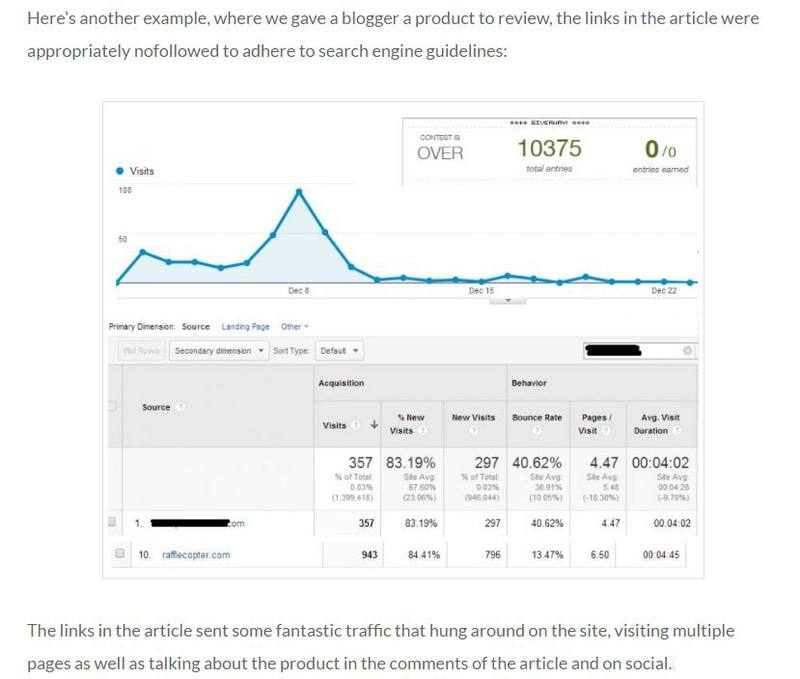 Check out Rob Toledo’s excellent nofollow examples on Moz. His experience is an example of why your link acting as an external resource can sometimes be more important for your site rankings than a crawler detecting your link and following it to your site. There’s more than one way to conquer SEO and move your site up in search results for Google; you don’t have to rely on traditional marketing strategies like an uneven distribution of nofollow and dofollow links. A nofollow attribute isn’t a hard-and-fast rule. Though Google’s crawlers are told to not follow the link, certain links may be followed despite the nofollow attribute. Jason Lancaster, of Moz, argues that “Nofollow isn’t a rule – it’s just a guide” because it’s possible that search engines are giving some weight to nofollow links on certain pages. Also, Google’s own documentation on how they handle them is a little ambiguous! Your link profile should be made up of both follow links and nofollow links. Though Google’s specific algorithm for determining site ranking isn’t known, experts like Neil Patel believe that the makeup and size of your backlink profile has a major impact on your ranking. Create a link profile that includes both follow and nofollow to have the best SEO success. Though the ratio doesn’t have to be 50 nofollow links for every 50 dofollow links, it’s to your benefit to keep it fairly even. For example, 40 nofollow links for every 60 dofollow links. It helps you create a more natural link profile to keep the ratios close to even. While nofollow links also have the benefit of referring people to your site who may later add an additional link to your profile, they shouldn’t be your main priority. Since dofollow links are a stronger positive signal for your site ranking in general, aim to have more dofollow links. Just remember that nofollow links aren’t to be ignored either. In fact, they may demonstrate to Google that you’re building a solid, organic profile. Not all nofollow links are created equal. The trick to getting the most from nofollow links is to engage your viewers and keep them coming back. 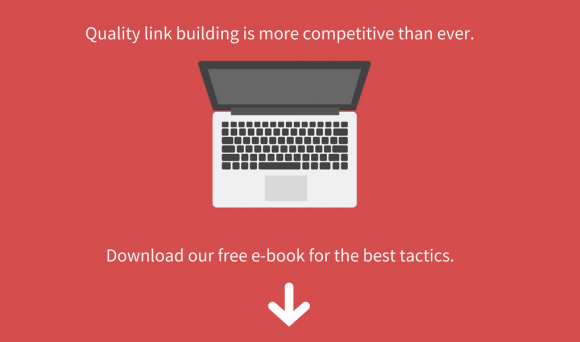 Get the most from your nofollow links by incorporating these tips as you link build. Make your link interesting and relevant. If you’re the one developing the content, make sure the link is in a place that will encourage people to visit it. If someone else is developing the content on their own site, you may not have control over this—but you can always request that the link is higher on the page or in a certain topic area. Develop interesting content. This is essential for every area of SEO optimization and marketing, and the same is true for nofollow links. To get the most benefit from a nofollow link, you need excellent contents. For example, content that keeps people on the page is essential. Equally important is content that encourages them to return to your site and establishes you as an expert on the topic. Create a blend of link types. Make sure your strategy includes a blend of nofollow and dofollow links. Focusing solely on one will hamper your ability to improve your SEO. This is because they both work to reach people and boost your rank in different ways. Experiment with which links work on which sites. Then adjust your ratio accordingly as you see what’s working best for your brand. Use giveaways and other types of enticements to lead people to click on your nofollow link. One of the challenges of working with nofollow links is finding ways to lure people to click on the link. One way is using giveaways so that the person who wants to enter has to view your page. If you’re offering a product that interests your targeted user base, you’ll be able to pull more of them in when you offer material benefits. For example, if you have someone advertising your product with nofollow links, make those links lead to a contest. If someone is interested in the content, they’ll likely be interested in getting something relating to it for free. Encourage visitors to share your link on their own pages. Make sure the way to share your page with others is easy to see. This is one of the best ways to transform one nofollow link to several organic dofollow links. Create an even larger organic reach by asking viewers to share your page for an entry into a contest. Here’s an infographic from Searchengineland.com on the nofollow tag and when & how to use it. Search Engine Land writes about the basics of the nofollow tag on their site. How to Tell Whether a Link is Nofollow or Dofollow? To check whether a link is dofollow or nofollow, right-click on the page in question and select “View page source”. Search the page for the url of your website, and check whether the nofollow attribute is included after the link. If it is, the link is nofollow. When no extra attribute is present, it’s dofollow. An example of each type of link. For times when you’re checking a lot of links, check our browser extensions to automatically mark nofollow links. For Chrome, Safari, Opera and Firefox, NoFollow outlines links and detects nofollow and noindex meta tags. Nofollow links have been around since 2005 and were a response to blog comment spam that artificially inflated SEO. Nofollow links are a valuable way to increase your organic reach and get your website seen by more people. While many have painted them as pointless, it’s an unfair portrait. They both help manage spam and offer a different way to boost your SEO. If you haven’t been trying to use nofollow links, start now. The nofollow links you sprinkle across the Web may surprise you with the traffic they generate in the future. Just curious after reading your article! Does all No Follow links matter or Just the Contextual? Because I am Confused that some no-follow links are being treated obsolete! I suspect that all types of solid nofollow links have a benefit to offer. Thank you! That’s really interesting! Some of the things that influence your PageRank are so unexpected. Well the issue of no follow and do follow is now becoming an in thing. Most bloggers use the no follow tag a lot. Some even set their blogs to automatically make all external links a no follow which makes getting a do follow link to actually be one of the many bloggers nightmare there is. Thank you for commenting! You’re right about bloggers using nofollow tags, so I’m glad there’s a benefit to nofollow as well as follow tags. Thank you, Bernard! I’m glad it was helpful to you. Great post. It’s really helpful. Thanks for sharing! Nice article to get understanding of Nofollow Vs Follow. Thank you, Pravin. I’m glad you enjoyed it.